A single sheet of 35 square stickers. 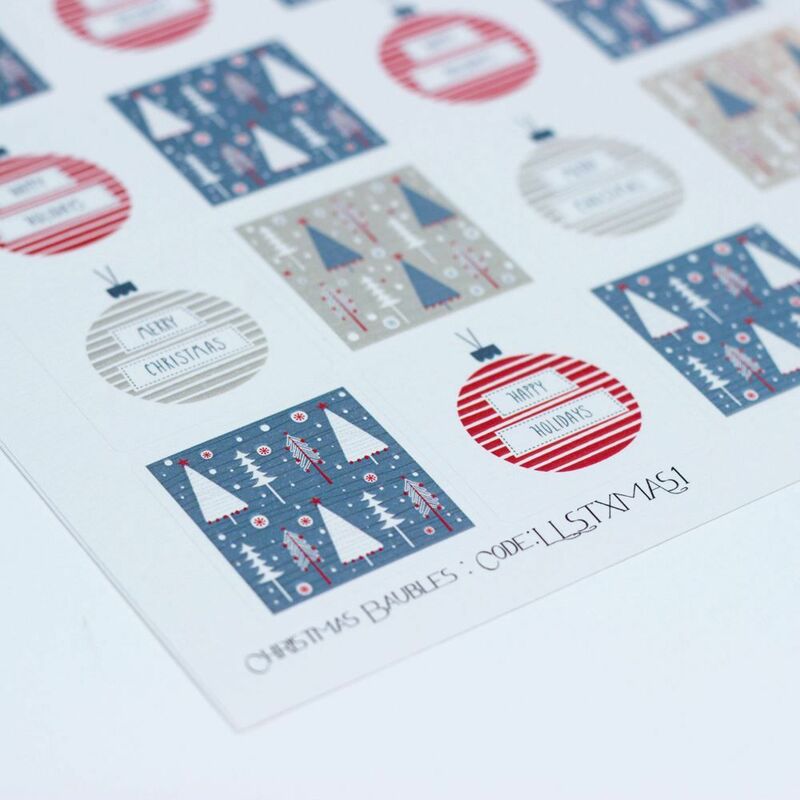 Each sheet contains pictures a mix of christmas stickers,9 x Merry Christmas baubles, 9 x happy holidays and 17 x square christmas designs. Perfect to add to craft bags or to seal that perfect present. Each sticker measures approx 3.5cm x 3.5cm square. Please note that colours vary between computer screens- if a certain colour is required then please check before purchasing.